A nice box of very good crackers is a useful thing to have on hand. Rest assured, this will be an appreciated gift: These crackers are very good indeed and go well with soups or salads. The crackers are made with generous amounts of three excellent Italian cheeses, so they need no dip or spread at cocktail time. 1. 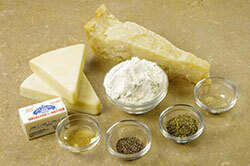 Place the cheeses, flour, marjoram, peppers, and butter in the work bowl of a food processor. 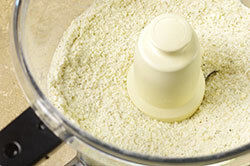 Pulse the processor on and off 6 or 7 times or until the ingredients resemble brown sugar in consistency. 2. 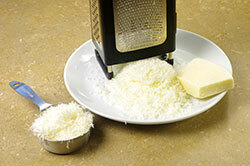 Turn the processor on and add the ice water and vinegar while the machine is running. Process until the mixture forms a ball in the machine. 3. 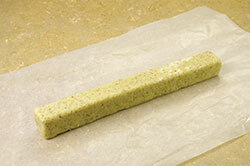 Roll and pat the dough into a compact log about 13 inches long on a lightly floured work surface. Wrap the log tightly in plastic wrap, then flatten the log on four sides to make it square. 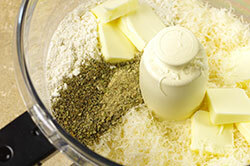 Place the squared dough in the freezer for an hour or so, until it is firm enough to slice. 4. 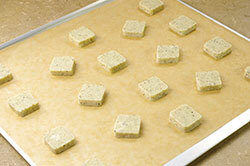 Preheat the oven to 375°F and line 2 cookie sheets with the parchment paper. 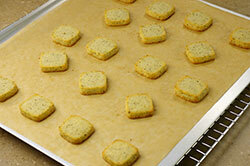 Cut the chilled dough into 1/3-inch thick slices and place them 1 inch apart on the prepared cookie sheets. Bake the crackers for 8 minutes on the middle two racks of the oven. Rotate and switch the pans and bake for another 5 to 8 minutes, or until the crackers are resistant to the touch and golden brown around the edges. 5. Place the cookie sheets on racks to cool for 1 hour. 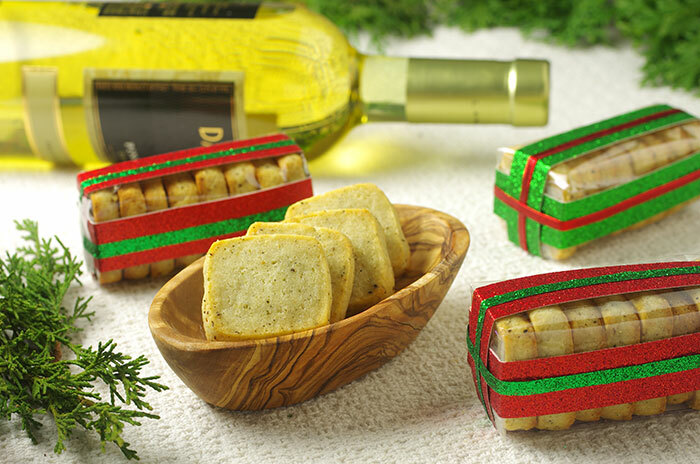 Store the crackers in an airtight container until you are ready to assemble and deliver the gift.